Edward Coumbe is a longtime journalist who strongly believes fact is stranger than fiction but not nearly as much fun to write. Having finally succumbed to the urge to just make it all up, he hopes to keep making stuff up for the foreseeable future. He appreciates your assistance in this endeavour. 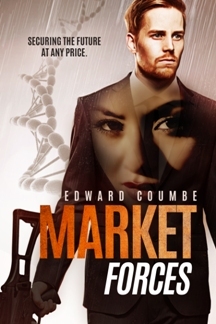 Market Forces is my latest action-packed thriller about dealing in black market Intellectual Property. Click on the image to find it on Amazon as an eBook or paperback.